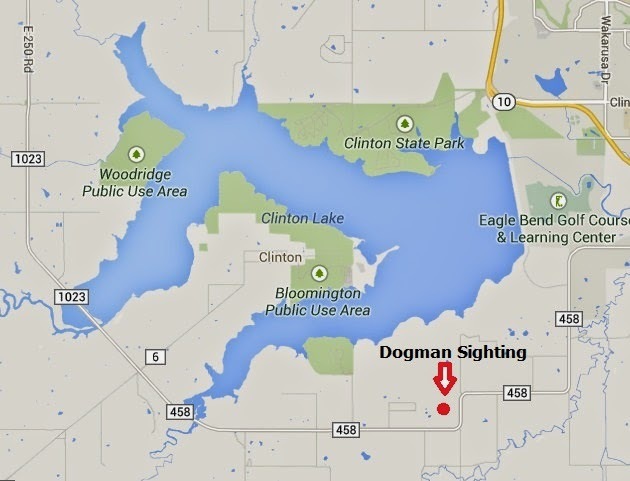 This sighting report was sent to the DFRO on June 29, 2014. The actual incident occurred at approximately 10:45PM Central time on June 28, 2014 outside of Lawrence, Kansas. "Hey, last night I was driving home from camping at Clinton Lake and saw a deer running across the road, so I slowed down to make sure she didn't have any buddies with her. At that time I saw red eyes looking at my truck. Like eye shine when a deer looks in a light, but just a dark red. I grabbed my mag light and shined it towards them and it was something like a dog. The back legs were shorter than the front, little to no hair, and the size of a Great Dain. It was well built, it's mouth was open and had the teeth of a K-9. It took 3 steps to get across a two-lane road. I was raised in the woods and I'm a hunting guide. I've seen coyotes with mange and with defects. I've been 10 yards from a bear and closer to a mountain lion, but when those red eyes looked at me, fear shot into me and I couldn't move. I actually started to shake. By the time I thought about taking a photo with my cell phone he was gone. The whole thing lasted around 35 seconds." 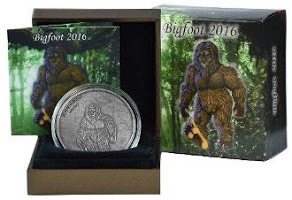 During our conversation I asked him if there was any chance that what he saw could have been a Bigfoot, to which he replied: "I've never seen a Bigfoot and don't know how they act, but this looked like something that spends most of its time on all 4 legs." When it crossed the road it was on 4 legs but once it was in the field he said it appeared to stand up and then went down on all fours again and continued running. 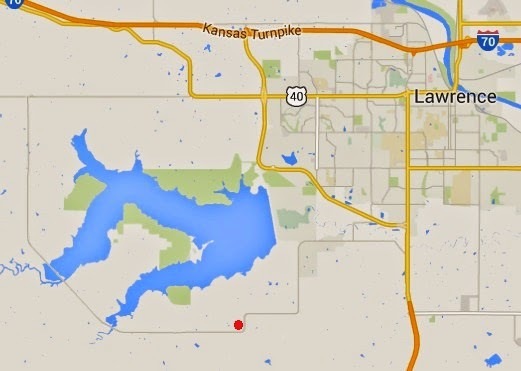 The encounter took place within 2 miles of the marked area. Michael Ryan, I absolutely understand your thoughts and feelings. I was struck totally silent and froze when I saw what I thought to be a Sasquatch. I had just never realized how massive these creatures really are:( However, my BF had a *snout*. He looked like Patty, only much larger and heavier, but he had a short snout. 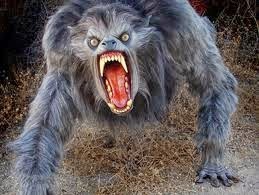 It was someone at the Bigfoot Forum who explained to me that I had watched a Dogman, not a Sasquatch. Then someone else, an expert on this species, asked me to do a radio show and while we were talking he explained that the type of BF that I saw was really the most dangerous and deadly of the 4 types. Now I am very thankful that my hubby absolutely refused to go back and let me investigate the sighting area and hopefully get some pictures. He may have saved our lives. The creature followed us out into the road as we drove away from the sighting area. He Did Not Run Away! EAST TEXAS - i am putting under KANSAS cuz its nearest to TX, PHOTO!!!! possible dogman or bigfoot with a snout so i lean toward dogman has a deer or boar over its shoulder dated 11/2014 VIA MYSTERIOUS UNIVERSE WEBSITE type dogman scrolll to bottom to read and see photo. I had a man who lives in my town ask me if in the course of doing my rural route if I had ever seen something strange. After asking a series of questions, he finally explained that a hunting buddy of his saw something that looked like a "dog", not a Sasquatch. That was here in Kansas. The sighting was close to a river. I told him no, I've never seen anything like that and hope to NEVER see one when I'm driving by myself! They apparent follow the food source down here, as we have deer everywhere.